Please welcome Linnea Hartsuyker to The Qwillery as part of the of the 2017 Debut Author Challenge Interviews. The Half-Drowned King is published on August 1st by Harper. 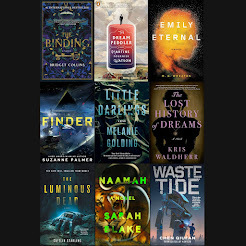 Read Linnea's Guest Blog - Some of my favorite Genre-Bending Historical Fantasy Novels - here. Happy Publication Day to Linnea! Linnea: I’ve always written, off and on. When I was 9, I wrote and bound a little book called “Eleanor and the Great Nail polish Disaster”. In middle school I tried to write a gothic romance novel, having never read one. I believe the heroine’s name was Laetitia. But as I got into high school I thought I should concentrate on skills that were likely to get me a good job. I studied engineering in college, while taking creative writing and literature classes for fun. A few years after graduating, I wasn’t finding creative fulfillment from the opportunities that my engineering degree gave me, and I starting writing again in my spare time. I began writing more and more seriously and eventually took up the project what would become The Half-Drowned King. Linnea: I’m more of a plotter, but definitely a hybrid—plans can and do change, and often I outline as much to figure out where I am as where I’m going. The Half-Drowned King and its sequels are based in history and myth, so there are certain events I know need to be part of the plot. I start by making a very rough, high level outline that includes those events, and how I think I’m going to get the characters there. I write until I get stuck, and then go back to the outline, or re-outline from scratch to figure out new and dramatic ways to get the characters where they need to be. With all three books, I’ve found that after writing about 70% of the rough draft, I need to do a full re-outline to make sure all the plot threads connect. By that time point there is so much I want to change that I usually go back to the beginning and start rewriting, and writing new material until I get to the end. Linnea: I think it is being patient with myself, and being comfortable with uncertainty. Writing requires dedication, but also inspiration and serendipity. Sheer perseverance, the kind that works in other areas of life, does not always work for me when I’m writing. If I get stuck, or if a scene isn’t working, I need to step back and find a new way in. I’ve also had to learn that even if I’m capable of writing 10,000 words in a day, I probably shouldn’t, because I’ll feel burned out for a while. I have to stop while I still have lots of ideas for what to write the next day. 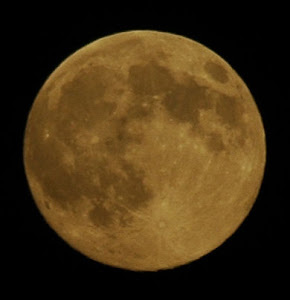 Linnea: I grew up in the middle of the woods in upstate New York, and my family that is very into doing things by hand. We baked our own bread, and did fiber arts like weaving, sewing, and knitting. We heated the house with wood and coal fires, and had to split and chop wood all summer. I think that is why I’ve always been drawn to history, eras which required more physical labor than our own, and making things from scratch. My father also read to us, frequently myths and legends from various cultures, including Norse. When I was 12 or so, I discovered The Mists of Avalon by Marion Zimmer Bradley, and The Mabinogion Tetralogy by Evangeline Walton, which retold Arthurian and Welsh legends in novel form—and that has been my favorite genre ever since. I’ve always read widely, in many genres, literary, speculative, popular, and everything in between; some of my favorite writers are Neil Gaiman, Charles de Lint, Emma Donoghue, C. S. Friedman, Janet Fitch, and Sharon Kay Penman, but I think The Half-Drowned King owes the most to those very early influences. TQ: Describe The Half-Drowned King in 140 characters or less. Linnea: A saga about a brother and sister’s struggle to fulfill their ambitions in Viking-Age Norway, balancing revenge, love, freedom and safety. TQ: Tell us something about The Half-Drowned King that is not found in the book description. Linnea: I’m very interested in the ways that women could navigate the challenges of a pre-modern society. I wanted my women characters to be plausible for the time-period, while reflecting the fact that women are people, every bit as much as men, and would rebel, have ambitions, and struggle against their limitations. I’ve tried to represent different ways that women would deal with a violent society in which they had fewer rights than today: Hilda goes along to get along, Ascrida is nearly broken by what she’s endured but still tries to make choices to keep her family safe, Vigdis uses her sexuality to further her ambitions, and Svanhild, the heroine, makes rash and idealistic choices, and then has to face the consequences. TQ: What inspired you to write The Half-Drowned King? What appealed to you about writing a saga about the Vikings? Linnea: When I was in my early teens, my family began tracing our ancestry. Because the Scandinavian countries have church records going back to the coming of Christianity (around 1000 CE) we could track at least some lines of descent to then, and before that, we followed the genealogies in the sagas, all the way to Harald Harfagr (Fairhair), the first king of Norway in the 9th century CE. As I attempted to write various novels in my 20s, I had in the back of my mind that one day, when I was a good enough writer, I would tackle Harald’s story. I was never able to finish any of those other novels because, I think, I didn’t care enough about the stories I was trying to tell. Eventually, I decided that even if I wasn’t a good enough writer, I still needed to attempt this story. Later, a writing teacher gave me a piece of advice I’d been in the process of discovering for myself: if you’re going to write a novel about something, you should be obsessed with it, because you’re going to be spending so long with it—especially in the case of writing a trilogy! The Half-Drowned King and its sequels combine many of my passions: sea battles, retold myths, pagan legends, sword fights, and women’s stories, so I never tire of this world and characters. TQ: What sort of research did you do for The Half-Drowned King? Linnea: I did a great deal of reading: sagas, histories, and archeology, but I also visited Norway a few times, including kayaking the fjord in the opening chapters. At the Viking Ship museum at Roskilde, I got to help crew a small viking boat. I also learned how to spin yarn from fleece using a drop spindle—which is something that Viking women would have spent an enormous amount of time doing. 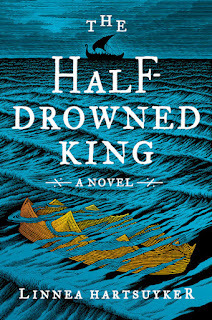 TQ: Please tell us about the cover for The Half-Drowned King. Linnea: It’s been so fun to work with the editors at my publishers in the US and Europe to come up with different cover ideas. All of them have wanted to show a balance of masculine and feminine imagery, since the book follows both Ragnvald and his sister Svanhild. The US cover, with the crown sinking under the waves was actually the very first idea that HarperCollins’s in-house designer Milan Bozic came up with. We talked over some other ideas, but settled on this one, and it was fully illustrated by Patrick Arrasmith. There is little evidence that Viking kings wore crowns, but I love how this cover it illustrates the title and evokes the mood of the novel, with the crown sinking into the waves and the ship in the background. TQ: In The Half-Drowned King who was the easiest character to write and why? The hardest and why? Linnea: It really varied depending on my mood! I would go weeks only writing Ragnvald sections, then want to switch to Svanhild for a while. Svanhild is really fun because she does whatever she wants—she tends to be people’s favorite character. 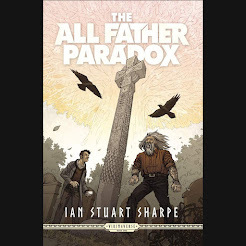 Ragnvald can be a bit more trouble—he’s more careful, less friendly and winning, and because he’s an ambitious Viking warrior, he commits acts of violence that can be troubling for modern readers. Solvi, who is identified with the trickster god Loki, was also one of my favorite characters to write, though he had his challenges as well. TQ: Why have you chosen to include or not chosen to include social issues in The Half-Drowned King? Linnea: I don’t think it’s possible to write a book that doesn’t comment on social issues. Novels express the values of the writer whether we want them to or not. The characters in The Half-Drowned King deal with issues of their time, but even these are expressions of timeless questions: how do we balance freedom and security, what do we look for in our leaders, how far will we go for justice or vengeance? I’ve tried to show both the rewards and costs of different ways of answering those questions. 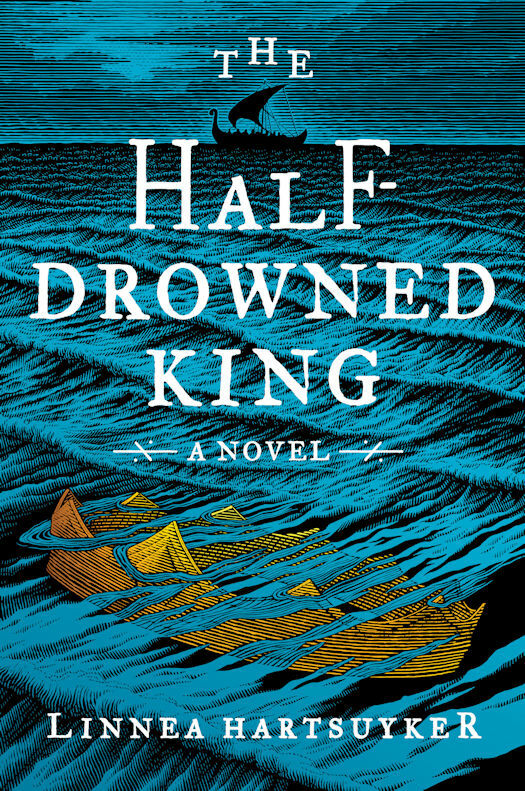 TQ: Which question about The Half-Drowned King do you wish someone would ask? Ask it and answer it! Linnea: You originally wanted to write about Harald Harfagr, your ancestor. Why did you choose to make Ragnvald and Svanhild your main characters? As I was doing my early research about Harald Harfagr, I started to find him a little dull. He has one interesting episode with Princess Gyda but other than that, he doesn’t face enough serious challenges. In many retellings of the Arthurian legends, Arthur is the least interesting character—he’s the fixed point around whom others orbit. So as I read the sagas, I grew more interested Ragnvald, who becomes Harald’s closest adviser, and suffers for that closeness. Ragnvald’s decisions and eventual fate in the sagas made me wonder about what kind of man he was, and how he would grow and change over his lifetime. The dawn of the Scandinavian kingdoms was a time when some local kings and chieftains were giving away some of their power to a high king of a much larger area, while others fled to Iceland to retain their freedom. The question of freedom versus security became a guiding theme, and I decided to make Ragnvald’s sister Svanhild the other main character—a woman’s choices about freedom and security would be even more difficult and circumscribed than a man’s. And then, because Ragnvald often makes more cautious choices, and follows a king, I was able to give some of the bolder, more rebellious choices to Svanhild. TQ: Give us one or two of your favorite non-spoilery quotes from The Half-Drowned King. “Above the plain stretched an ice field whose meltwater fed all the river systems of the Sogn district. Ragnvald and Oddi walked up to it, over a steep slope. A great mouth of ice, dark and blue in its recesses, opened where the ice field began. It looked as though a frost giant had been frozen there, about to take a bite big enough to consume a herd of cattle. Cold air issued from it, the giant’s breath. Ragnvald walked along the opening behind Oddi. He did not want to turn his back on the great maw, so he tossed a pebble into its depths. It skittered for a moment, then fell into a pool of water far below. Linnea: I just turned in the final draft of The Sea Queen, which is the sequel to The Half-Drowned King, and am currently working on the first draft of The Golden Wolf, the final book in the trilogy. After that, I have a long list of interesting periods of history I’d like to tackle. During my MFA program, I wrote the rough draft of a novel I wrote about a priest dealing with church politics during the early 12th century when there were two popes and clerical celibacy was just starting to be enforced—I’d like to dust that off. And I have a huge and sprawling fantasy world in my head that I would someday like to put down on the page. Linnea: My pleasure! Thank you for these interesting questions. Redlands #1 Rushed Back to Print!